The Qilakitsoq Mummies were discovered by hunter brothers Hans Gronvold and Jokum Gronvold in 1972. The brothers were probably hunting for deer or meat, when they came across a burial site. 8 Eskimo people insisting of six women and two children, were found on the discovery site. Their perfectly preserved bodies were due to the cold climate and freezing cold temperature . 4 of the mummies were preserved very well, which opened a chance to study them and make them a part of the history of Greenland. The group of mummies were believed to be of Inuit belief, which was a way of life 500 years ago. There was a abandoned settlement on the coast of Greenland, called Qilakitsoq. This could have given clues that led to the discovery of the find, but the discovery was accidental.The bodies were found on a North facing slope. The small baby was found laying on top of a Down Syndrome boy and 3 mummified women. In another burial site close by, 3 other women were excavated. No clues have been left of why there were no men found. 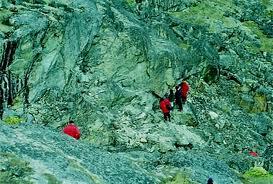 The significance of the find, has enabled Greenland to add to the history of the country and provides scientific evidence of life 500 years ago in Greenland. 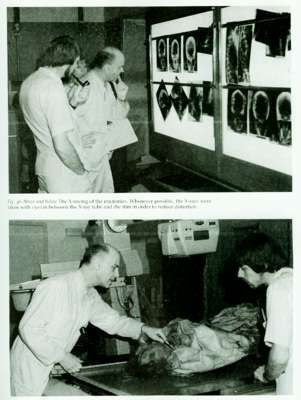 The mummies were tested and x-rayed to find out what was the cause of death and age of the bodies. The young child, around 6 months of age, was believed to be buried alive, and the mother died of a tumour. The Inuit people used to bury mother and child together, so the child was buried with its mother. The Inuit followers believed that all the deceased needed hunting tools and extra fur/skins for afterlife. They thought that afterlife was cold, and the deceased needed to hunt for their own food. The fur or skins that were used, were seal and reindeer skins. There were 78 different items of clothing found on the bodies, which was for warmth, protection and hunting for the afterlife.